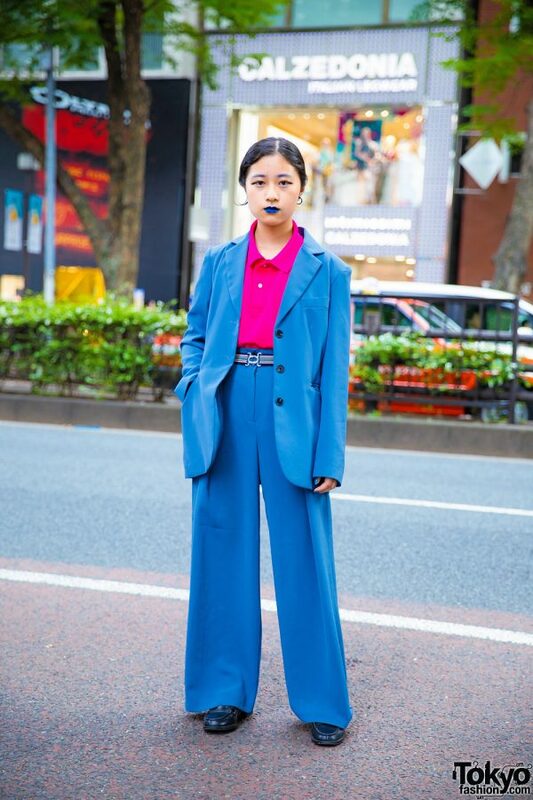 It was difficult to miss 20-year-old student Tae, who was clad in a vintage blue men’s suit while on a day out in Harajuku. She wore a vintage bright pink collared top from Groovy under a vintage blue jacket. 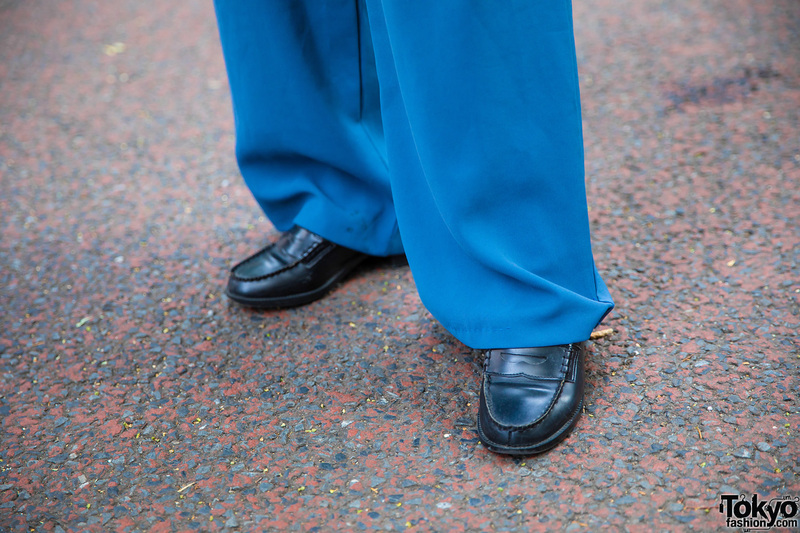 Tae also wore vintage blue wide-leg pants and vintage black loafers. 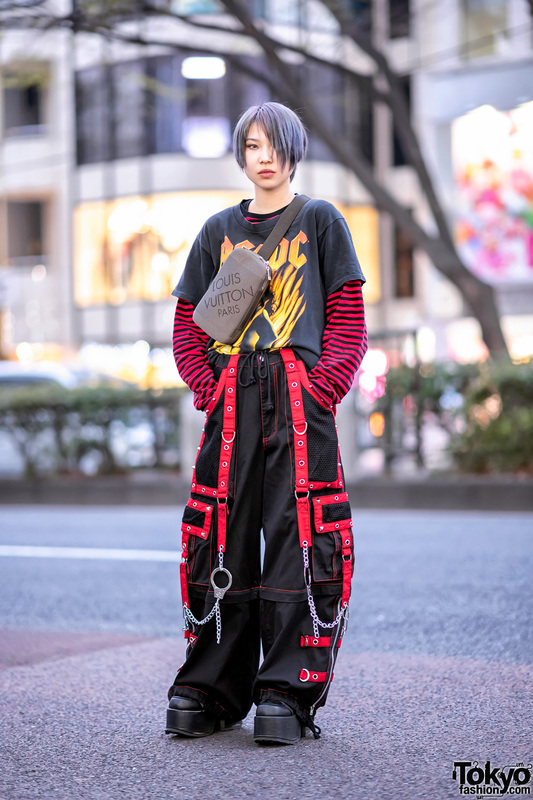 Blue lipstick, a vintage bag, and a striped belt completed her look.